Rock in comfort with GCI's stylish, cool and comfortable rocking chair for the great outdoors. The Freestyle Rocker is designed with patented Spring-Action Rocker Technology™, so you can rock smoothly while enjoying your favorite outdoor activity. 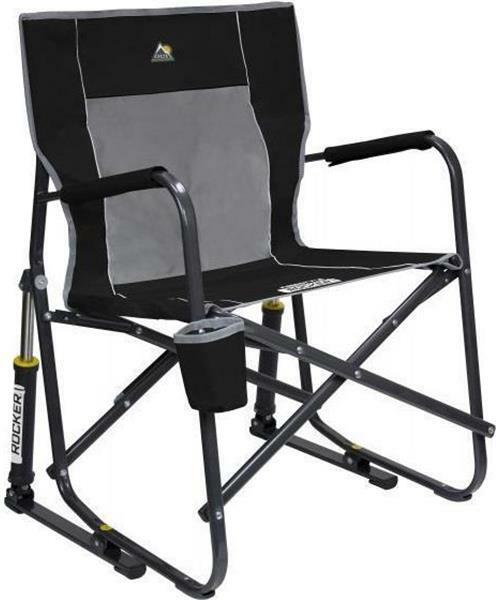 Whether you are camping, tailgating or in your backyard, the Freestyle Rocker is ready to go wherever you go. It features a convenient carry handle, beverage holder, mesh backrest and is easy to open and close with patented Easy-Fold™ Technology.